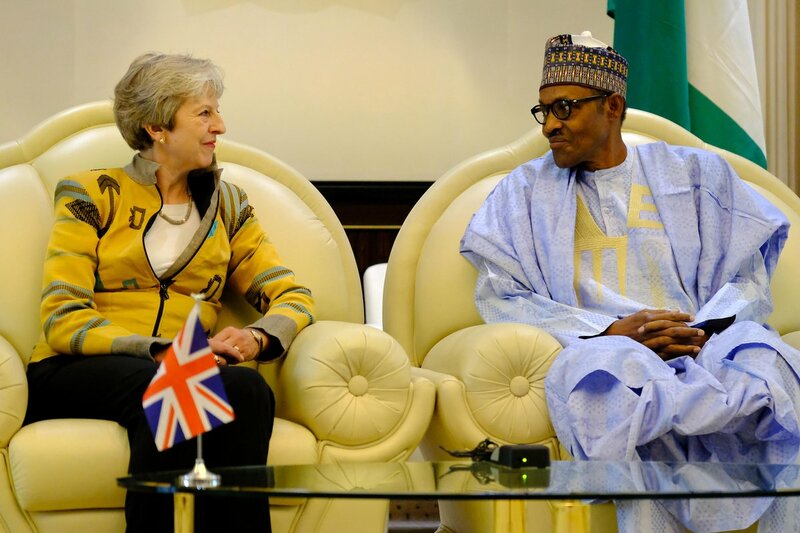 The British Prime Minister, Theresa May indicated on Wednesday in Lagos that she enjoyed an excellent time in Nigeria and sincerely hopes to see a significant boost in trade and investment between Nigeria and the United Kingdom (UK). May indicated this to newsmen shortly after arriving at the Presidential Wing of the Murtala Muhammed Airport, Ikeja, from the FMDQ Security Exchange building, Victoria Island, Lagos during which she parleyed with the Nigerian business community, which included Aliko Dangote, Femi Otedola and Elumelu, before departing the country at 8:10 p.m.
“I was in Abuja and also in Lagos to see the thriving business community here. “We want to see increased trade between Nigeria and UK, increased investment, bringing jobs here in Nigeria, jobs in the UK. “This will be good for both countries and I have had an excellent time in here in Nigeria, and I am very pleased to be here today,” she stated, leaving Gov. Akinwunmi Ambode of Lagos State, who was at the airport to see her off, to provide details, which dovetailed into the importance of her visit especially as it centered on improving investment in the state and the country in general. 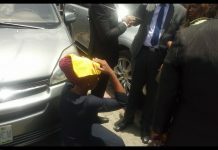 “She has visited Abuja earlier in the day. “The important part of this visit was discussion on how investment in Lagos can be improved by British investors. “We realise that Lagos is the commercial capital of Nigeria and a whole lot of British investment are domiciled in Lagos,” Governor Ambode said, adding that the visit would naturally bring greater improvement in investment planning, in view of what Lagos had been doing to attract investors. “We having been doing a lot of judicial sector reforms and security sector reforms and she is pleased with the progress we are making in Lagos. “She is ready to complement our efforts by opening up export credit facility and also with development finance to some of the things that we are doing in Lagos,” he said, noting that their discussion also centred around boosting technology and improving infrastructure and the creative industry. On the relationship between Lagos and Britain, Ambode said: “we need to make sure that a whole lot of British investment is coming to Lagos. She is willing to do more with us. “You know, Lagos in 1861 was a British colony. The history has been so long, so, we also need to reactivate that,” Ambode said. Earlier, the Lagos State government, in a statement by the governor’s Chief Press Secretary, Mr Habib Aruna had shed more light on Ambode’s directional discussion with May. Ambode, according to the statement, noted that much of Nigerian education, cultural and political systems were influenced by Britain and there were more Nigerians living in the UK than elsewhere in the world. The governor said that Lagos remained a place of choice for British investors, especially given that stability in the government, the size of Lagos economy and population, as well as the particular focus of his administration on the rule of law and justice sector reform. “So, we spoke about how we can improve the investment climate in Lagos and then the other parts of what Lagos has been doing to attract investors. According to the statement, May, on her part, said that export credit finance to the tune of 750 million pounds sterling, as well as a considerable development finance was available, which Lagos State could look towards. She also spoke about the role that Britain could play in the development of the technology industry in Lagos given the particular capability of the UK in that area. Meanwhile, the British Prime Minister, Theresa May, had a 45-minute meeting with the Nigerian business community at FMDQ Security Exchange building, Victoria Island, Lagos, arriving there 6.30pm, with a strong delegation which included the members of her trade team. Alhaji Aliko Dangote, Mr Femi Otedola and Mr Tony Elumelu, among others, had earlier assembled at the venue, for a brief but symbolic deliberation meant to provide desired opportunity to further strengthen the bilateral relations between Nigeria and the United Kingdom. May had earlier on Wednesday afternoon arrived the Murtala Muhammed Airport (MMA), Ikeja, in Lagos from Abuja, after meeting President Muhammadu Buhari. She was billed to spend time with victims of modern slavery during her brief stay in the nation’s commercial hub. The prime minister’s visit to Lagos comes barely eight weeks after the French President, Mr Emmanuel Macron, visited the African Shrine in Ikeja, Lagos. Gov. Akinwunmi Ambode of Lagos State, accompanied by his deputy, among other state officials, received the prime minister at the airport. After the reception, May was driven out of the airport to attend to her engagements in the state. Before departing Abuja, and during her meeting with President Muhammadu Buhari, Nigeria and Britain signed some agreements on Defence and Security partnership, among others. 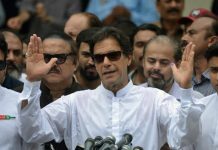 The visit was a part of May’s tour of three African countries.